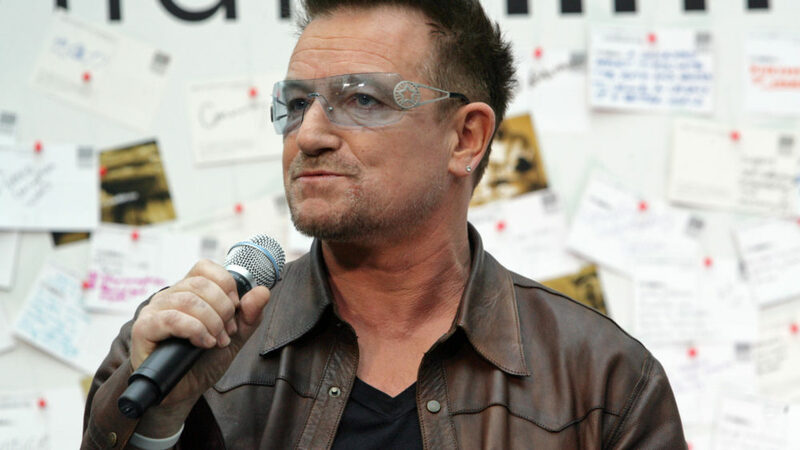 Bono speaking at a World Bank event on poverty in 2012. 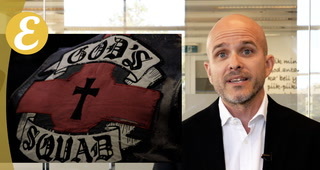 Last weekend, the great preacher and missionary to the marginalised, John Smith, affectionately known as ‘Smithy’, had a memorial service attended by hundreds of outlaw and Christian bikers from across the country which I wrote about here. Early in the service, a personal tribute was read from Paul David Hewson, commonly known by his stage name, Bono, lead singer of Irish rock band, U2. The band first met Smithy in Melbourne while on an Australian tour in 1984. Smithy made a lasting impression, and Bono met with him several times afterwards. My first sense of John The Baptist Smith was observing cassettes of his preaching being passed around like he was some kind of obscure indie rock band, which in so many ways he kind of was. But he had hits – John GOT pop culture. On one cassette he was uncovering the (William) Blakean influence on Kris Kristofferson, on another his exegesis was on Bette Midler’s movie ‘The Rose’ – which he opened up like it was a missing Gospel. On another he broke down talking about an outlaw biker called Ball Bearing whose deep knowledge of the blues had opened John’s own mind to the possibility of Psalms hiding in the form: the brutal honesty of the blues made sense to John and made sense of John. To John the Bible was an incendiary tract – not some handbook on religion. It was not a sop for mankind’s fear of death – it was an epic poem about life. It spoke about culture, about politics, about justice. Yeah so here’s to you, John the Baptist Smith, a voice crying in the wilderness. Let the valleys be raised and the mountains laid low. Make way for the coming of the Lord and make it flat as a freeway please – with no speed limit if possible. Yeah let the pilgrims know Jesus will take the back seat – but if ye want the ride of your life give Him the handles and hold on tight. When Bob Dylan sang, “always on the other side of whatever side there was” he might have been singing about John: an outsider in an outsider community, an outlaw of a different kind preparing the way for the coming of different kind of world … speaking truth to power. It didn’t matter who you were; didn’t matter if he was your guest. I hope the Archangel Michael is not wearing Gucci loafers, he’ll be getting it in the neck from our John the Baptist Smith if he is.